Very often, the layout extends beyond the standard 1 inch margin usually used in the body of a letter (like the example below), so I usually need to create a section break to allow the document to have two different margins on the same page. 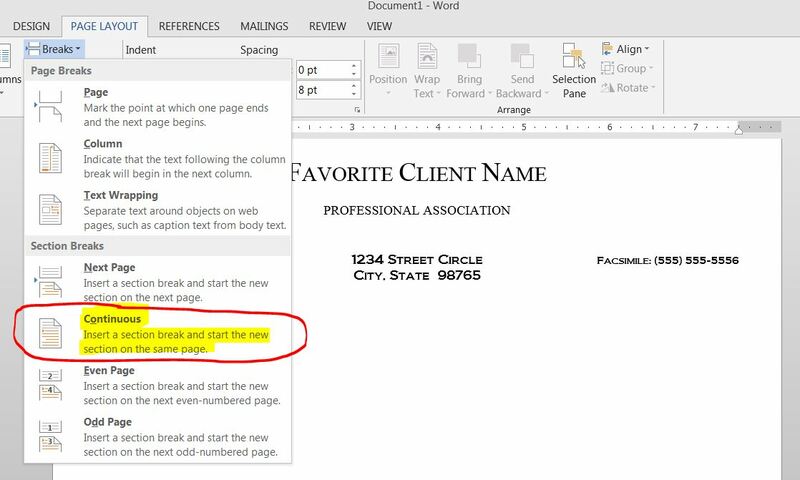 Just place your cursor below the last line of the faux letterhead content and insert a continuous section break. Then set your margins as needed in each individual section of the document. Once the document is divided into sections, you may want to protect Section 1 from accidental editing. I’ll tackle that in next month’s tip.